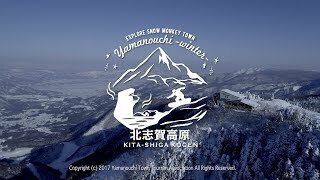 With elevation ranging from 1300 to 2300 meters, over 50 ski lifts and gondolas and 19 ski areas, Shiga Kogen is the largest skiing destination in Japan. In addition to ski lessons being available, there are guided nature programs as well to explain the area's rich flora and fauna. Snowshoeing and Snow hiking are other popular ways to enjoy Shiga's natural wonders, and the area also boasts some unbeatable mountain vistas. Shiga Kogen offers great skiing in a fabulous natural setting. You can try also Snowmobiling in Shiga Kogen's Yakebitai ski area through Hakuba Lion Adventures.